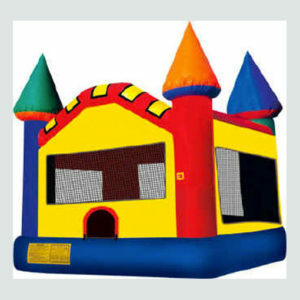 Whether you call it a jumper, bounce house or jumpy castle, your most economical option is our Regular Jumper. 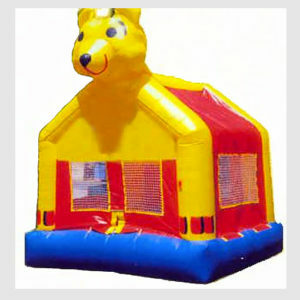 These inflatables hold about 10 kids at a time, depending on the size of the children. 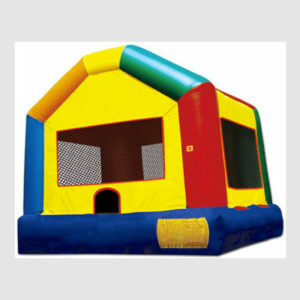 Our Regular jumpers measure approximately 13.5 feet wide x 13.5 feet long x 14 feet high. This is the standard size for most backyards. It’s also the size is allowed at most parks in the greater Los Angeles area. We are licensed and insured, but it’s your responsibility to obtain a park permit, if one is required. We will be happy to send you and/or the park any pertinent paperwork. For home parties, our rentals are overnight. You should plan to set up your inflatable about 25-feet from an outlet. Party Pronto also rents 25-foot extension cords or you may provide one. However, it's best not to go beyond 50 feet from an outlet, or your jumper will not stay firm. Be sure to leave a parking space for our driver to ensure that your delivery is quick and trouble-free, and please let us know whether we will encounter any steps or other impediments. 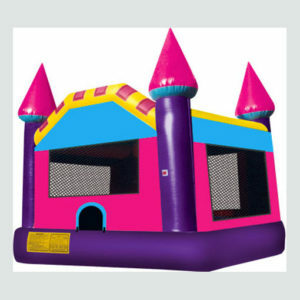 It takes about 15 minutes to set up and inflate your jumper. After your home party, please turn off the blower or unplug it, and roll the jumper like a burrito - all the good stuff stays inside and that protects the netting. Please be award that dogs can sometimes become destructive if left alone in the yard and the netting is exposed. If you're using the jumper in the front yard and you don't have a fence, you can roll the jumper onto the driveway and park your car behind it, so no one can see it or take it. Ask us about the themes or styles available.